Joining the ranks of the 2016 GOP presidential hopefuls is Ben Carson, who announced he is running for president Sunday evening. Carson has never held public office — he's actually never even ran for a political position before — which the retired neurosurgeon hopes to change with this campaign. In an interview aired by WKRC, the Cincinnati CBS affiliate, Carson announced his presidential intentions, though according to the Associated Press, he will make a more formal statement Monday from Detroit, where he was born. He said Sunday, "I'm willing to be part of the equation and therefore, I'm announcing my candidacy for president of the United States of America." The 2016 Republican field now includes Rand Paul, Marco Rubio, and Ted Cruz. Carly Fiorina is expected to announce her campaign Monday, and Jeb Bush and Scott Walker will likely follow sometime soon, along with a host of other GOP possibles. 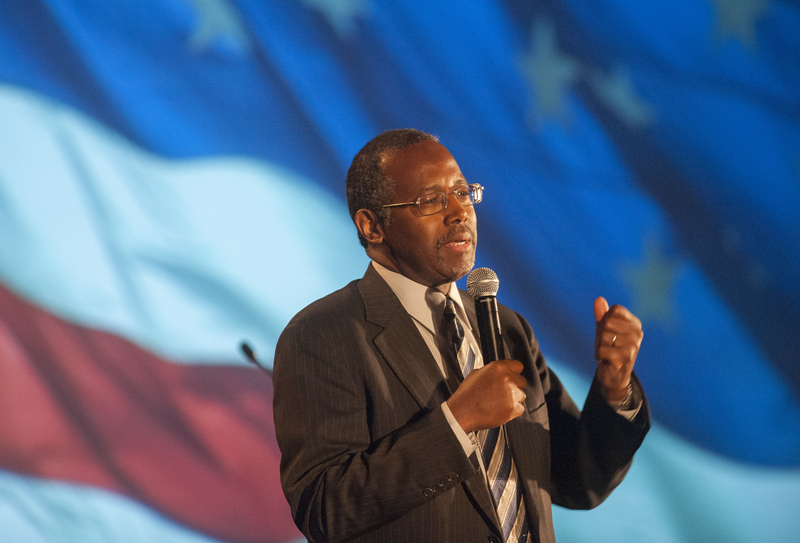 According to the Associated Press, Carson is expected to be the only high profile African American to run in the Republican presidential primary. Although he is still relatively unknown, he first became a more recognized figure in 2013, when he spoke at the National Prayer Breakfast and criticized the direction of the nation. His comments made him a rising star in the conservative world, as many were thrilled that he offered such scathing remarks with President Obama sitting nearby. Carson, 63, was extremely well known in the pediatric neurosurgery realm. He led the unit at the Johns Hopkins Children's Center in Baltimore for 29 years. According to The Washington Post, he was the first pediatric neurosurgeon to successfully separate twins who were conjoined at the head. But though he's clearly a skilled medical doctor, when it comes to politics, Carson has very little experience. Although he and his team admit that a successful bid for the presidency is pretty unlikely, he seems to be hoping for the Cinderella story his underdog position might bring. You must have enough humility to be able to work with others to recognize you’re not necessarily the expert in everything. But you can with very good advice, make good decisions.